Enjoy an Additional 10% Off for Ultrasound Awareness Month! October is Medical Ultrasound Awareness Month (MUAM), created to educate the public and bring awareness to diagnostic medical ultrasound in healthcare. MUAM is a joint effort of the American Institute of Ultrasound in Medicine (AIUM), American Registry for Diagnostic Medical Sonography (ARDMS), American Society of Echocardiography (ASE), Cardiovascular Credentialing International (CCI), Society of Diagnostic Medical Sonography (SDMS), and Society for Vascular Ultrasound (SVU). 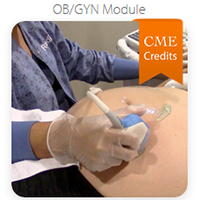 Need CME Credits? 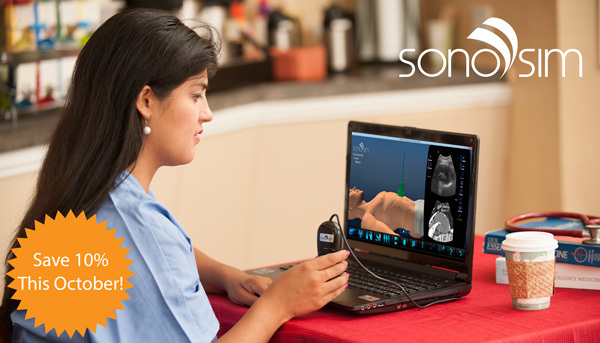 Recently, SonoSim tripled the number of Ultrasound Training Modules and Packages that offer CME Credit, totaling over 140 hours of AMA PRA Category I Credits™. Visit our store or contact SonoSim at 855-873-7666 to order your custom Personal Solution package today.